Firstly I will tell you some of Anne's characteristics. She is an orphan, a chatterbox; she is slightly naughty and has a good imagination. She is adopted out and goes to live in Green Gables but the woman (Mirella) who was adopting her thought she was adopting a boy and tells Anne to get out. Mirella's brother insists that she stay. Some things happen ... some are good and some are bad. Rated: 5/5 - "really 100/5 - I loved it!" The book is about a boy, Joseph, whose best friend Blink goes missing. Joseph decides to search for him. His parents are overseas and don't know that Joseph has runaway. He has a map which leads to a house and a strange man that wears a big coat. He finds out that the strange man is his uncle. (Blink is only mentioned at the start of the book and is never mentioned again). 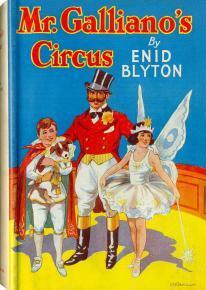 The story is about a boy called Jimmy Brown and the circus that comes to his town. His dad gets a job at the circus because he is a handyman. He meets a girl called Lotta who rides horses and does tricks. He makes lots of new friends and likes to meet up with them. Jimmy is really good with animals and when an elephant runs away because of a storm he is able to bring him back. Mr Galliano rewards him by giving him a job at the circus. Rated: 5/5 - "Really interesting!" There is a dog competition coming up and the famous winner (who has won the competition for the last 4 years) has her puppies stolen while she is in hospital. She is recovering from a car accident. A girl at Alice-Miranda's school finds one of the puppies and keeps it for herself. She hides it in a building but accidentally sets it on fire. Alice-Miranda puts out the fire and saves the puppy. In the end Alice-Miranda finds out who stole the puppies because they are acting suspiciously and the woman's son finds all of the puppies (that is the woman who was the winner of the dog competition). Rated: 4/5 - "I like all the detail and stuff." This is about a girl named Cassie who is on the run from an alien invasion. It comes in waves and when it first hits all the lights go out. The second wave are earthquakes and tsunamis. The third wave is the red death which is a plague where people bleed from the eyes and mouth before they die. The fourth wave is the 'silencers' which is where the aliens who are more of a 'conscience' than a being, load themselves into humans and bind themselves to their human host. When the person turns 13 the conscience wakes up and kills other humans. The Silencers are there to wipe out the human race. Cassie calls them the Silencers because everything about them is designed to 'silence' (kill) everybody. Cassie survives but has a Silencer tracking her and he has numerous opportunities to kill her but doesn't. Cassie wants to stop her brother from being the 5th wave which are children being trained to kill without the Silencers. The Silencer who is following her shoots her in the leg and then runs away. Cassie passes out and the Silencer saves her because he has fallen in love with her. Apparently there were two groups of Silencers one group wanted to kill all humans and others wanted to co-exist. I think Cassie's Silencer is from the group that wanted to co-exist. Basically the rest of the story follows Cassie and the Silencer. "I'm giving it 5/5 because it is amazing! A complex story - it's great!" Harriet starts Year 6 and wants to make lots of new friends. She knows lots of things such as facts so she is a bit of a geek and isn't very popular at school. When she is scouted by a modelling agency and becomes a model suddenly everyone wants to be her friend. Everything seems great. She has a party which everyone wants to go to but then she also has a fight with her good friend. Dani's best friend Ella moves away and she feels lonely. At school the seat that Ella used to sit in is always empty. Dani visits Ella at her new house and they play together. Dani forgets to give Ella her goodbye present - it's a card that says she misses her friend. Teacher makes Dani sit between two girls who don't like her and pinch her. Dani is angry and tries to squirt them with tomato sauce but ends up hitting the teacher instead. She gets into trouble and runs away. Her dad finds her and tells her that Ella will be coming back to her school. According to Tiana I'm reading the kids version of this book! It's about a hobbit who is half the average man's height named Bilbo. Hobbits do not go on adventures. But Bilbo's mother was a Took whose ancestors married a fairy - and fairies do go on adventures. His father's side of the family are well-respected because they are rich and non-adventurous. 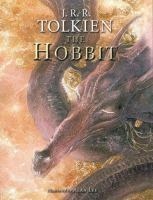 When Bilbo meets Gandolf he decides to join him on an adventure and with twelve dwarves they go in search of treasure. Rated: 7/10 (or 3/5) - "the plot is old and you can kind of guess what will happen. But the story is still good."